Dr. P. R. Swarup graduated as a Civil engineer from Indian Institute of Technology, Kanpur, in 1975 and has a Ph.D degree from Rajeev Gandhi Technical University, Bhopal. Assam Central University has also conferred upon him a D.Sc. degree (Honori's Causa). Starting his career as a Structural Designer, he served in various capacities, in number of prestigious organizations, involved in offering, technical consultancy, construction industry projects manufacturing, as well as overseas trade. Dr. Swarup was responsible for designing several process structures in cement and fertilizer industry and also for the execution of several projects in Thermal Power sector, Fertilizer sector and various core sector industries. 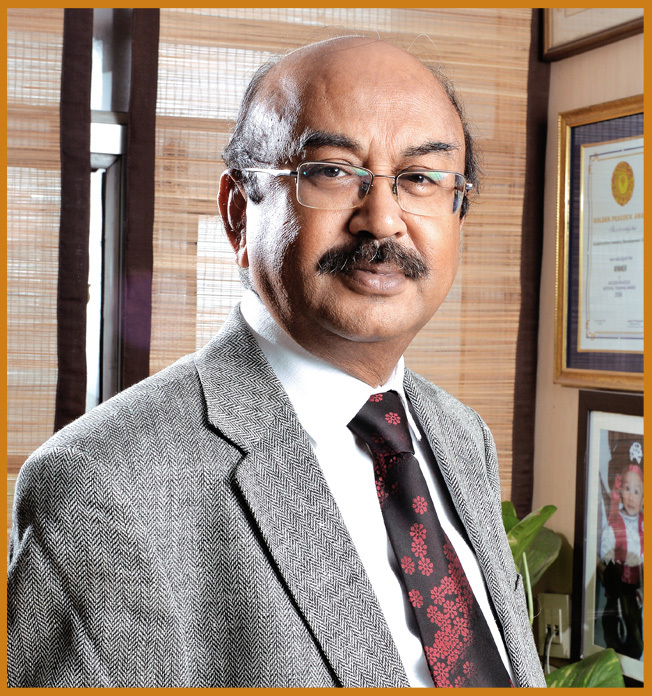 In the later part of his career, Dr. Swarup served at senior level positions within the industry. He joined CIDC in 1996, as the first and founding Director and has been responsible for initiating several projects for the welfare of Indian Construction Industry. The notable innovative projects are Grading of Construction Entities, Establishment of Construction Equipment Bank and Creation of Lending Norms for Construction Industry. Presently he is the Director General and Secretary to the Board of Governors of CIDC. Dr. Swarup has widely travelled on business assignments and is conversant in domestic and International work practices, in construction industry. Dr. Swarup is currently the Governor of Engineering Council of India and National Real Estate Development Council, New Delhi, the President of the International Council of Consultants, and the Chairman of Asia Concrete & Construction Institute Singapore, and several other professional bodies. He has served as the Member Secretary of the Working Group on construction for the 10th & 11th National Plan and also on several other high powered committees constituted by the Government of India. He has been again nominated as the convener of the steering committee on construction for the 12 National Plan. He is also a fellow of Institution of Surveyors, Institution of Engineers (India), Institution of Civil Engineers, United Kingdom, and Actuarial society of India Affiliated Faculty Member of Michigan State University, Glassgow Caledonian University, & Assam Central University and lives in Delhi. Dr. Swarup actively participates in several social organizations to uplift the quality of life of fellow citizens. As the Vice President of IIT Kanpur Alumni Association, he was responsible for organizing several community projects in UP. Mr. Swarup is writing extensively. His articles appear in several leading Technical journals, &National dailies such as Economic Times, Hindustan Times etc.